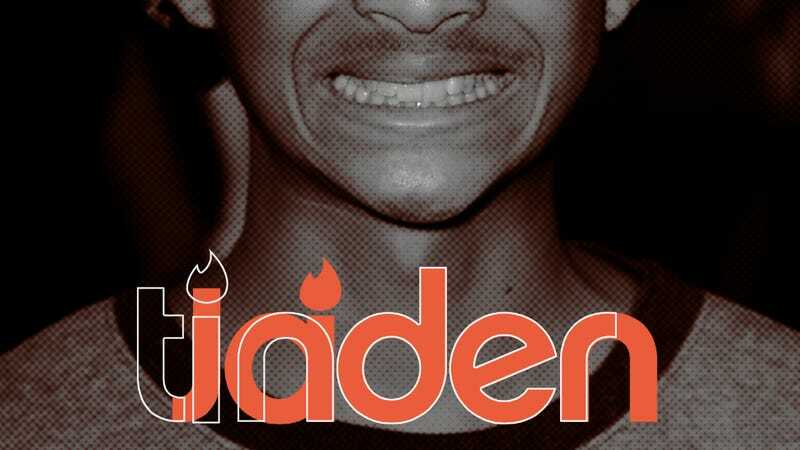 To understand Jaden Smith Tinder, you must be familiar with two things: Jaden Smith and Tinder. Let's get everyone up to speed. Jaden Smith is the teenage son of Will Smith and Jada Pinkett Smith. He acts, raps, and tweets. The tweets are definitely his most fascinating attribute. You should really follow Jaden, if you don't already. He's never dull. As for the second part, Tinder is a dating app that takes basic information from Facebook and lets you find people in your area. Swipe left if you aren't interested; swipe right if you are. If the other person also swipes right, you get to chat with each other. It's similar to Grindr—that app was out a few years before Tinder—but for more sexual orientations. I enjoy Jaden Smith's tweets, and I enjoy Tinder, so I combined the two in an experiment born from boredom. For an undetermined amount of time, I'd talk to my matches using only Jaden's tweets—capitalized letters and all—and see how long I could maintain a conversation. I still had normal photos of myself and used my actual name, so I wasn't pretending to be Jaden Smith. I was merely a vessel for his wisdom. Many didn't respond, but enough did to call this project a success. This one didn't go far, but I like to think that Jaden's wisdom made her day. After reading about the beauty of trees, [redacted] shut off her phone, gazed out her window at the world that surrounded her, took a deep breath, and smiled, ready to take on the day's possibilities. Probably. Not impressed with three Instagram followers? NOT WORTH MY TIME. [Redacted] is on board with sad trees, but baby geniuses? NAH. Convince her. I would be a terrible double agent, judging by the sole instance of a girl catching on. The most intense conversation. I wanted to talk to her normally afterward, but realized it would be impossible to explain what I was doing. What if she was my future wife, and I fucked it up by using a 15-year-old's tweets as my own words? The things I do for you people. She was totally digging me (or more accurately, Jaden Smith's thoughts). So, what did we learn from Jaden Smith Tinder? His zen koans create a person much more charming than me. Also, we should really pay more attention to trees.